Lawrence, KS (4/21/2009) – Long known for producing the best race quality wheels, HiPer is expanding their CF1 line into the CF1-R and the new CF1-A wheel. The CF1-A will be offered in a non-beadlock version starting at just $109.99 and a single beadlock at $144.99, making it the most affordable HiPer wheel ever. The CF1-A lives up to HiPer’s reputation for building only superior products. The new CF1-A is two times tougher than wheels made from 6061-T6 aluminum. The CF1-A retains the modular design features of the original CF1 wheel, and the CF1-A can be updated to the latest ultra light CF1-R spec. 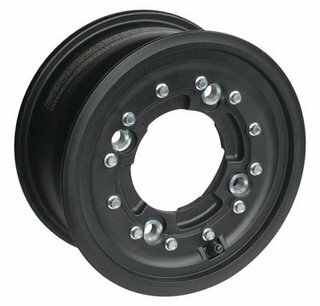 All CF1-A wheels will be shipped with black beadrings. The CF1-A is the most durable entry-level wheel available on the market, and is a great place to start modifying your sport ATV. At just $109.99, the new CF1-A wheel brings race winning technology to the entry level or enthusiast rider. The CF1-A will begin shipping on May 15, 2009 and is available from dealers nationwide, or by calling HiPer direct. 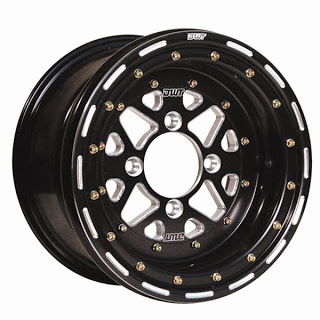 Please visit www.hiperracingwheels.com or contact HiPer at 877-GO-HIPER (877-464-4737) to place your order. 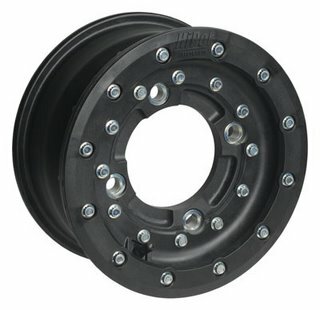 HiPer wheels are proudly designed, made, and assembled in the United States. HiPer Technology, Inc is a Kansas company specializing in carbon fiber products utilizing a proprietary injection molding process. 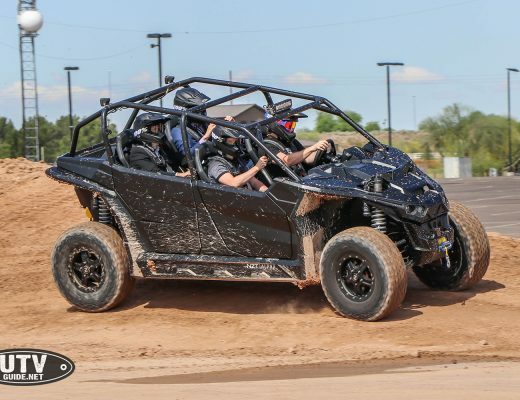 HiPer is the industry leader in ATV and Micro Sprint car wheels. HiPer Technology has grown to be a technology leader in materials, design, and product function since its founding in 2000.